Chennai: Protesters at a factory of car maker Hyundai Motor India Ltd threatened to stop work as the police on Wednesday morning arrested 23 former workers as they began a hunger strike in front of the plant, demanding the reinstatement of employees who had been dismissed for their role in previous strikes. “These workers were dismissed on the same charges as others who have been reinstated," said A. Muthukumar, district general secretary, Centre of Indian Trade Unions (Citu), Tamil Nadu, and a spokesperson for Hyundai Motor India Employees Union (HMIEU). “So why does the management not reinstate them is our question." He said the union will make a decision on a strike in the next two days. The protesters are reiterating a long-standing demand that the management, which does not recognize HMIEU, change its stand on the union, and are also asking workers who had been fired for their role in previous strikes be reinstated at the Sriperumbudur factory on the south-western outskirts of Chennai. 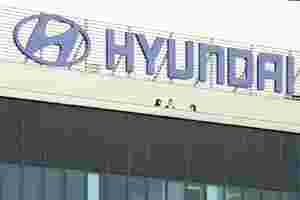 “Hyundai Motor India has consistently maintained that it will not recognize a politically affiliated union—least of all a minority union," the Hyundai spokesperson said in an email. HMIEU is backed by Citu, which is attached to the Communist Party of India-Marxist. The management, contending that HMIEU has only minority support among workers, last year gave recognition to a non-political union, United Union of Hyundai Employees. Muthukumar disputes this, saying HMIEU has the support of around 1,100 of some 1,550 permanent employees at Hyundai. The factory employs around 10,000 people. “A secret ballot among employees would reveal our majority," Muthukumar said. The rumblings at the South Korean maker’s Indian base this month follow four strikes in the last three years, though none so far this year. The auto sector has faced sporadic labour problems in the last few years—including months of unrest this year at the country’s largest car maker, Maruti Suzuki India Ltd—as firms try to deal with a crowded market and rising costs. Auto-parts makers Exide Industries Ltd last year, and Rico Auto Industries Ltd in 2009 saw production hit by industrial unrest. “This (auto) sector has a high potential—not just for domestic market but also for exports, and is witnessing increased competition," said Vikram Shroff, who specializes in labour law at legal consultants Nishith Desai Associates. “Some measures undertaken by companies to contain costs or increase productivity may have led to labour unrest."